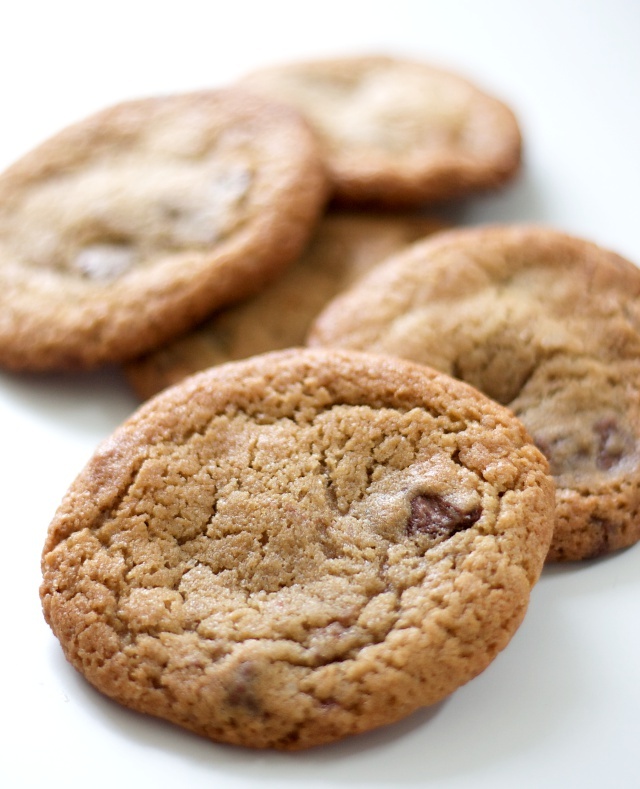 It's been my mission for many years now, to find the best chocolate chip cookie recipe out there! There has been a lot of trials and errors, but I have finally found the one. In a small bowl, mix flour, baking soda & baking powder. In a big bowl, mix butter and both types of sugar, with an electric mixer, until soft and fluffy. Add salt, vanilla, egg (one at a time, mix well in between). Add the flour mixture, from the small bowl and mix until the dough is well combined. Add the chopped chocolate and mix around with a spoon or a spatula. You can either roll them into golf ball sized cookies and bake them, in the middle of the oven at 350 °F (180 °C) for about 12 minutes. 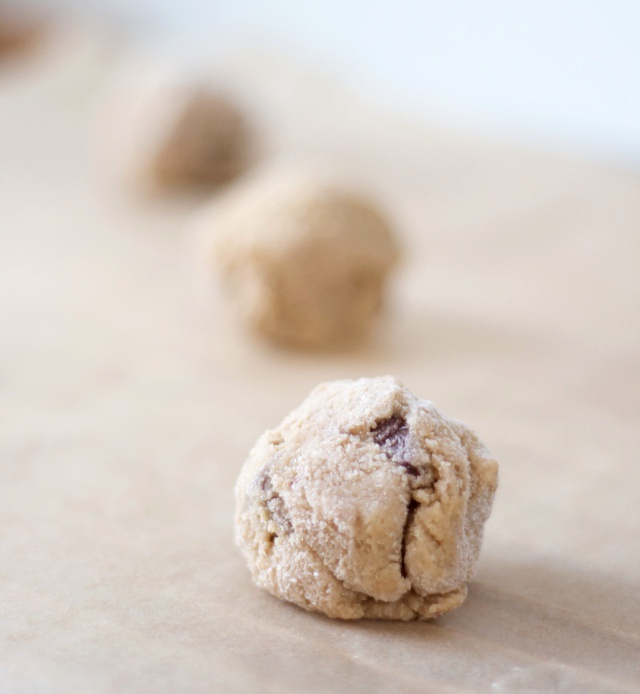 Or you can roll them into golf ball sized cookies, place them on a cutting board (or something flat, that fits in your freezer) and freeze them for about 2-3 hours, before putting them in a plastic bag and placing them back in the freezer, where they can be stored for up to 3 months. 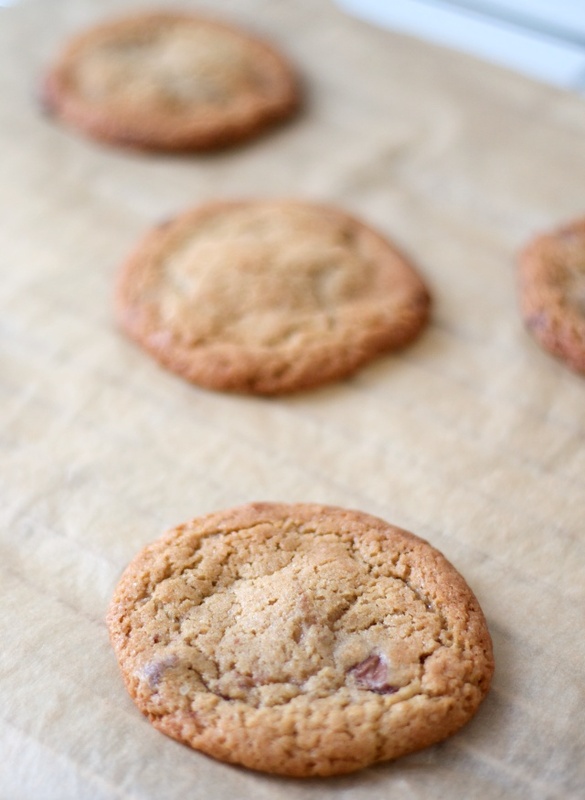 Then whenever you want cookies, you can just get as many as you want from your freezer, put them on a baking tray and cook them in the middle of the oven, at 350 °F (180 °C) for about 13 minutes. Let them cool off for about 30-60 minutes before you eat them, if you like the chocolate to harden up a little. If not, then eat them straight away. I highly recommend the freeze method, they turn out amazing every time, crispy on the edges and soft in the middle.